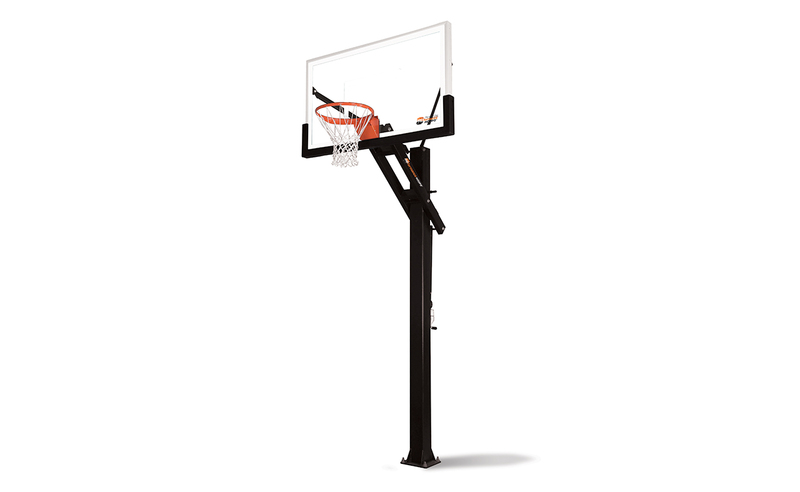 The Proformance Hoops 660 Glass in-ground basketball system gives you all the features needed for home-court basketball with a 38-in x 60-in tempered glass backboard, a 6-in square steel pole and 2.5-ft of play area. The straight-pole, tension jack design features die-formed extension arms, a ground anchor and a 90-degree adjustment handle. Pole pad and edge pad are included at no extra cost! The PROformance Hoops PROforce 660 basketball hoop provides big game features with the entire family in mind. Complete with 60″ x 38″ fully tempered 3/8” glass backboard, offering a height adjustment from 7.5” to 10ft, and a 2.5ft play area from the pole to the backboard. 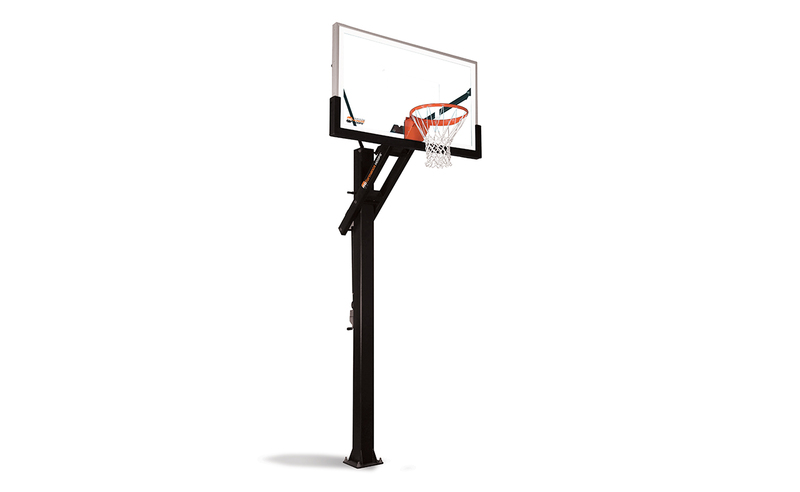 With a PROformance Hoops basketball goal, your kids won’t want to play anywhere else!